Rosalie was born in Castleford, West Yorkshire and is very proud of her Yorkshire heritage. She also considers herself to be part-Scottish, having lived in Edinburgh and later Dundee for twenty-five years and brought up her children there. For the last fifteen years she has lived in Coventry, making her part-Midlander too, though she spends a fair bit of time close(ish) to her roots in Scarborough, where she loves to write overlooking the wild seas of the North Bay. Rosalie loved books from early childhood and always wanted to write, but many other (good) things got in the way, such as bringing up her family, studying for an MSc in Artificial Intelligence and a PhD in Cognitive Science and then becoming a university researcher and lecturer. 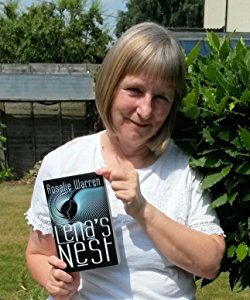 Finally, in her early fifties, she took early retirement and her writing career got going. 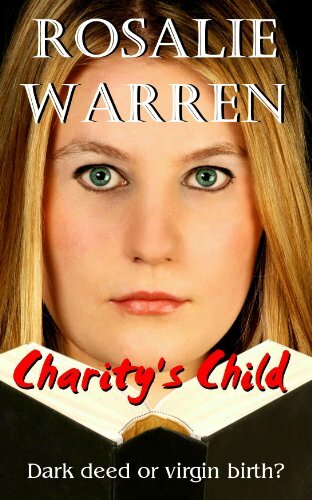 Her first book was Charity's Child, aimed at older YA and adults, published in 2008 by Circaidy Gregory Press, with a revised version now available as an e-book. Charity, aged fourteen, comes to live in the wind-battered town of Castlehaven on the Yorkshire coast, where she meets Joanne and becomes involved in a small, wildly enthusiastic Christian group known as the Crabbies. When Charity becomes pregnant, the big question is the identity of the father, especially as Charity insists that she is a virgin and that God is the father of her child. Joanne struggles to help but the truth, when it emerges, shakes the Crabbies and the wider Castlehaven community to the core. Some readers have taken the book to be a condemnation of evangelical Christianity, but it was written more as an exploration of the hold, for good or ill, that deeply committed religious belief can take over people's lives, and is perhaps more relevant than ever today. The author also wanted to write about a lesbian relationship between two young girls and the attitude of the church towards them back in the early eighties. 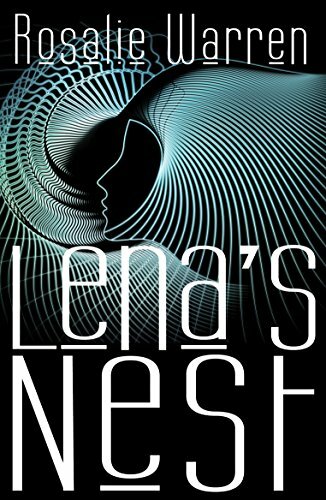 Rosalie's most recent novel, Lena's Nest, has been described as science fiction for those who don't like sci-fi. Set ninety years from now, it explores issues of artificial intelligence and virtual reality that are becoming increasingly relevant today. Lena Curtis is a researcher in robotics, struggling to get her fellow researchers interested in the ethics of their work. After an accident, she wakes from a coma to find herself in a world that seems at first familiar but soon turns out to have some disconcerting inaccuaracies. As the truth dawns, Lena must address some of the consequences of her own research while desperately trying to trace her two young children. Lena's Nest has received some great reviews, being described as 'exquisitely terrifying' by one reviewer and compared by another to 'Karaoke' and 'Cold Lazarus' by Dennis Potter. It may also appeal to fans of Margaret Atwood and is available as an e-book and in paperback.